The pulp of the tooth consists of blood vessels and nerve tissue and cells called Odontoblasts. These cells have the ability to make more dentine to protect the nerve. 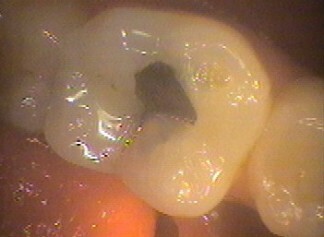 This type of dentine made is called reparative dentine. However, in the right conditions, only 1mm every six months is made. Once made is very hard and resistant to decay but takes a lot of time to be made. Untreated decay in the dentine can progress at faster rates in certain conditions. Under the gum on root surfaces. Holes that have not broken down on the surface. This leaves a small hole for bacteria to get in but nothing else. This especially occurs under deep grooves or pits on the biting surface and the sides of the teeth. 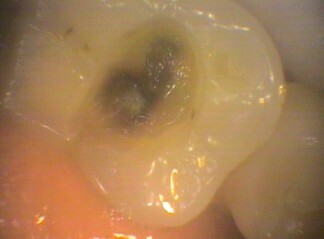 At the base of deep grooves caused by excessive tooth brush on the root surface. At the edges (margins) of crowns that have decay. Crowded teeth with unusual contacts. Under misshapen filling under the gum. In summary cleaning out the decay and placing a filling removes a confined space where bacteria can thrive unchallenged by body and human. The filling essentially creates an environment that is self cleansing (i.e. easy for the mouth) and easy to clean (i.e. for the human). Constant snacking causes a relative dry mouth as saliva changes its role from buffering (neutralising acids) to digestive (creating an environment to break down food that favours decay bacteria). See blog on Diet is the key – the bad and the ugly. See blog on Diet is the key – the good and the clean. Regular professional cleaning and fluoride treatment. 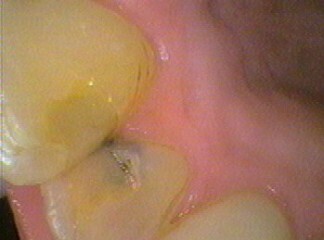 For deep cavities placing a filling also irritates the pulp (nerve). 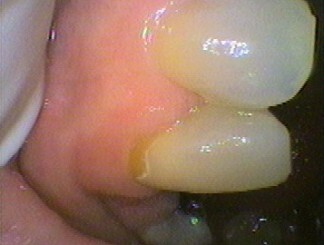 However, if you do nothing the pulp will be affected by the decay and more tooth structure will be lost. This means that a pulpitis (inflammation of the pulp) may become irreversible. Next in the series on – What is Decay?